Remove fruit from the inside of each avocado. Use a fork to gently mash until chunky. Add onions, cilantro, and lime juice. Continue to mash. 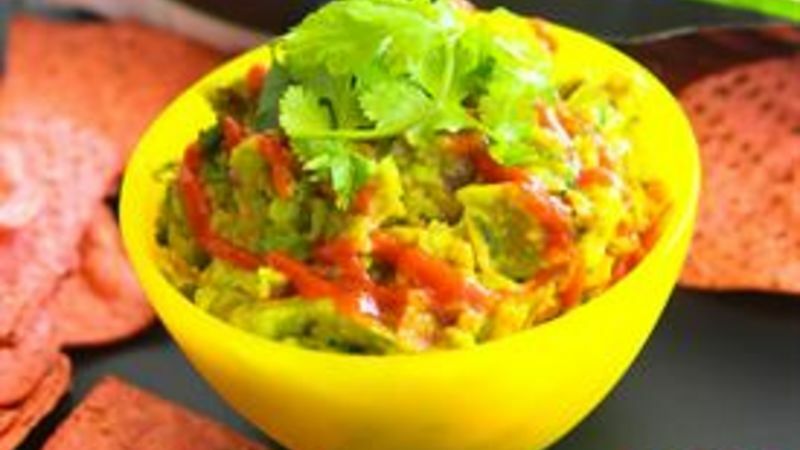 Add Sriracha to the guacamole and fold in just slightly. Salt to taste. Top with additional Sriracha, if desired. Serve with Jalapeño chips & enjoy!